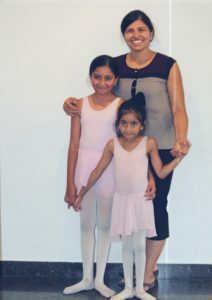 Shilpa Bhat is the mother of Anika (age 11) Grade 2 (lower) and Ahana Bhat (age 7) Pre-primary ballet. The role of a mother is a herculean task in itself and we see these beautiful women playing superhero roles out of love all around us. One among this amazing bunch is Shilpa Bhat. 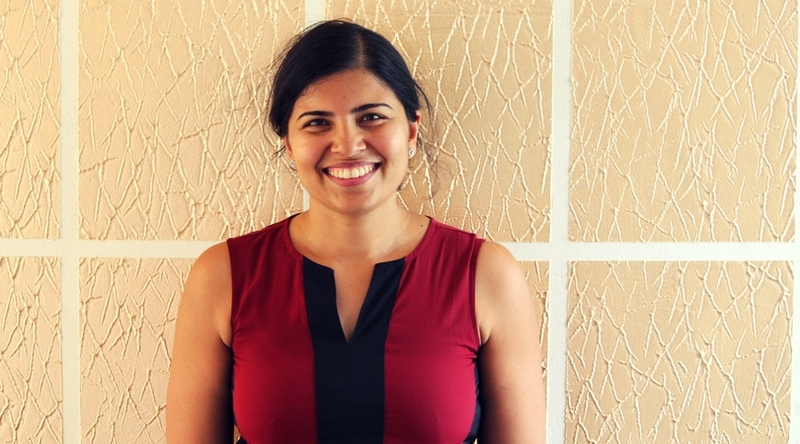 Shilpa Bhat is a freelancing web and app developer and a full-time mother of two. Why did you enroll your children for ballet? My first daughter Anika was very interested in learning ballet after watching the “12 dancing princesses”, so I searched for ballet schools around the city and this was the best one! Moreover I wanted to provide her with a creative outlet. At that time other forms of art like bharatnatyam didn’t allow children of the age of 3 and a half to join, Yana however was willing to take her in and teach her. It was perfect as there were pre-primary ballet classes which are designed to engage that age group. 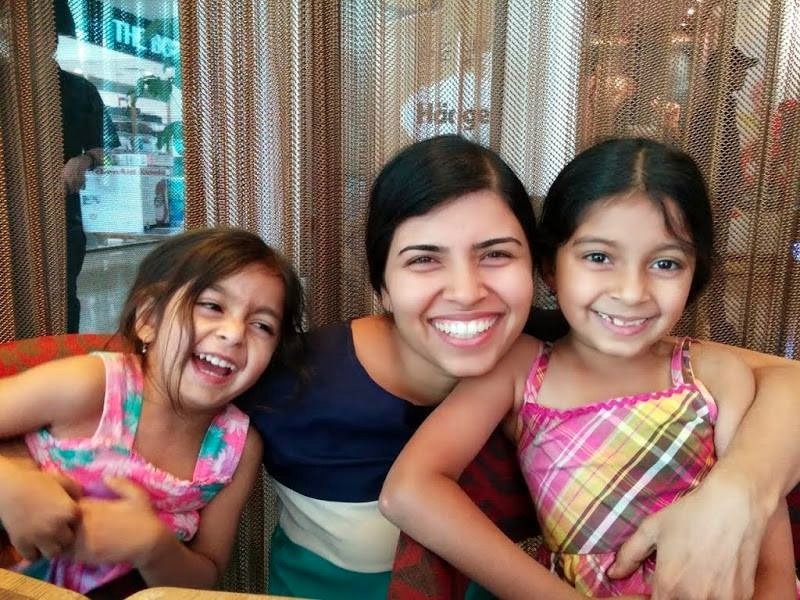 I appreciated this as it gave her a forum to grow and learn in a holistic environment with her age group, after which it was only natural that I enrolled my younger daughter Ahana, to learn with TLFCB, too. What are the different impacts from starting ballet so early? 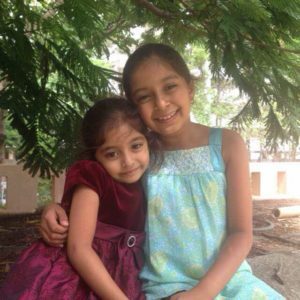 Both Anika and Ahana are shy and timid girls and ballet has given them a forum to express themselves freely. Their other interests extend to flute and drawing, but they have greater dedication and excitement when it comes to ballet. I’ve never had to force them to come for class; they’re always ready with their bags with no fuss. There are so many positive benefits the girls have received; they have made a lot of good friends in class. Growing up exposed to ballet and all it entails at such a young age has given them so much awareness in terms of recognising different art forms and appreciating them, as well as being conscious and aware of their health and bodies. The whole mentality of that responsibility and discipline of their body is set very early. What progress have you seen in your daughters that makes you happy and proud? Definitely the entire change of them being really shy and introverted, to making friends and being more outgoing. They are so full of grace and dedication to ballet and it’s amazing to see that passion and the joy they get from it. This year Ahana is dancing a special role as Thumbelina for the first show in September. My first reaction was surprise; even though Ahana is tailor-made for the role with her tiny physique, my concern was whether Ahana would have the confidence to pull it off. Now this opportunity has not only helped Ahana gain more confidence, but has also given her older sister the role of mini mentor, helping Ahana out with her dances. It’s helping them both progress so much and nothing can make a mother happier. Has any of this impacted you in any way? Yes, of course! Not only have my children made good friends but I have also gained so many good friendships with other dance moms. So many of us get to spend time together while the class is in process. Being in this kind of fitness and dance environment has inspired me to be more conscious about my own health and fitness. It motivates me to exercise and watch what I eat. That kind of discipline rubs off very easily. To me, Yana Lewis (Artistic Director) has been an inspiration as a mother and teacher. The first four months when my daughters had just began, every class would always begin with a session of tears. Slowly, Yana worked with them and made them comfortable enough to start enjoying it and they haven’t turned back since. Connection with the outreach programme has given me a chance to interact with some of the Parikrama mothers. Such situations have helped me connect with people on similar frequencies and become aware of people on completely different tangents. All this has helped me grow as a person. What insights would you like to share with other dance moms out there? The thing i would emphasise the most on is patience. We have to be patient with the process of learning, especially at such a young age. Placing expectations on children to become professionals is too much at this age. Now is the time to let them take their time and go at their own pace. To learn what they like and dislike and to just enjoy the experience. It is obviously not a waste because of its physical benefits. There’s no rush in moving to the next level; each child has different learning abilities and specific growth rates. This is why I appreciate the customised learning provided here to cater to each individual’s unique capabilities. Its best to let go and trust the process, but never give up, because it could be a casual hobby to one or a professional career to another. We never know. Giving them room to grow without expectations is the most vital understanding to keep. What’s your favourite part of being a dance mom? I enjoy coming and spending time with all the mothers and the people associated with the Foundation. It truly feels like I’m a part of this large dance family. Having to travel so many kilometers doesn’t even feel like a burden. The fun part is also being able to be part of the magic each time we have the biannual shows. I love volunteering – show days and dress rehearsals feel like festivals with lights, colourful costumes and anxious happy faces filling every corner of the auditorium and dressing rooms. Stress and excitement are a given in such events, where hundreds of students must make their entrances and exits to and from the stage on cue, and in costume, but being a part of the experience has helped me grow into the role more and more each time. I started like most paranoid moms would, volunteering to be as close to my children as possible, and to take personal care of them backstage. During the shows I quickly learnt that the responsibility of care extended past my own and unto all the other little ballerinas. This increased my desire to help. That’s why I continue to volunteer at every children’s performance since my first show with the Foundation 8 years ago. What are your experiences as a volunteer? Personal challenges as a volunteer have been thinking of ways to keep the young students entertained throughout a long day of rehearsals and waiting around; keeping students fed without ruining their costumes; and handling non-volunteer parents who aren’t aware of the venue etiquette. There is the occasional tussle when interests collide between volunteers and parents, but the entire volunteering experience on a whole is fun and exciting. A vital part of a large school production such as our biannual shows is the contribution of parents as volunteers. There are many tasks at hand; helping out at the reception; entertaining children in the waiting room; helping with costumes in the changing rooms; and keeping students calm and quiet backstage, to name a few. Like many of our Foundation parents, Shilpa shows great dedication and interest in supporting the Foundation in any way she can. She finds the best way to do this is by volunteering during show season and contributing and participating in Foundation events. We appreciate all the individuals who help do the same. Are you interested in volunteering for this years shows? Are you a dance mom? Share with us your experience and wisdom of being the pillar of support to your little dancer.